One of our absolute favourites. This museum is just so family friendly- we recommend the Art Safari or ArtPlay for a perfect family day at the museum and the Bella Family Experience for families with special needs. For a great cafe with a view, head to the rooftop, where the menu changes seasonally to reflect the current exhibitions. There’s always a great program on for children of all ages at the MCA. It's Australia’s national centre for maritime collections, exhibitions, research and archaeology - but you might know it as the museum with the Endeavour replica out the front. Your kids can get hands on with Captain Cook's ship and relive his voyage to Australia. Down at Darling Harbour, this museum presents a changing program of stimulating exhibitions and events including the coolest family exhibit, Arctic Voices where kids can pounce, hop, push and crawl their way through the Arctic, and come face to face with giant polar bears. And we are looking forward to the upcoming 'Sharks and Humanity' exhibition in December! The fascinating Justice and Police Museum is one you may not have considered, but this is the place to be! Kids and parents will be truly fascinated learning about Sydney's past and sometimes seedy underbelly- schemes devised, tempers lost, deals done...and laws broken! 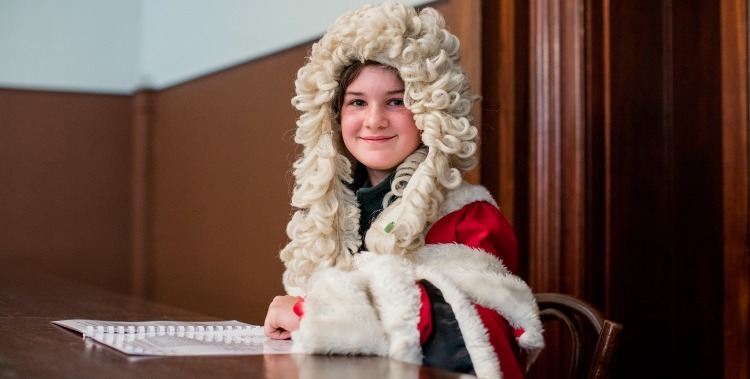 Their Bushrangers Behind Bars program is an awesome courtroom experience where you can participate in a mock trial! Guilty or not-guilty? You decide! Hint: children under 16 go FREE! At the Powerhouse Museum, there are two absolutely fantastic exhibitions for families. The first is the recently refurbished Wiggles Exhibition, which features an interactive Big Red Car and memorabilia from the new cast including Lachie's teddy bear and Ema's ballet slippers. The second is a brand-new exhibition opening in November 2018 which is called STAR WARS Identities: The Exhibition. The Australian Museum is one that you can return to again and again. Not only do children under 16 go FREE, but the Kidspace for under 5s will let kids can hands-on and encourage them to explore the natural world through picking up, touching and holding pretty much everything! This kind of tactile experience is rare in most museums. They also have great school holiday programs, and various activities tailored to specific age groups including Tiny Tots for 9 month to 3-year-olds and Mini Explorers for 3 to 5 year olds. Families are always welcome to explore the gorgeous heritage properties on Elizabeth Farm, Vaucluse House, Rouse Hill House & Farm & Elizabeth Bay House. Each boasts beautiful grounds and a story from Australia’s past at every turn. There are a HEAP of exciting activities on the calendar, including the Convict Kids program, Earn Your Tucker, a huge day of fun with the Family Fair, Bush Tucker, playing shop at Susannah's Place, and the upcoming 'How Cities Work' exhibition by Lonely Planet Kids looks fab! The Sydney Observatory NEVER gets old for either little or big kids! Beginning with Aboriginal astronomy, take a look at the exhibitions before climbing up into the famous telescope domes and exploring the sky with experienced guides. At night, you could see stars, planets in the solar system, the Moon or even nebulae that are light years away. By day you can observe the active Sun with special lenses. There are always different exhibitions and tours happening - and kids love meeting REAL astronomers. For more information on their current programs check out their website here. Inside the Museums Discovery Centre you will find millions of treasures, with hundreds on display for you to explore, and thousands more waiting to be discovered through booked tours of the deep collection stores. There are amazing permanent exhibitions as well as programs targeted at babies to 2 years, or kids aged 3 -5. This is perfect for any family that has a kid that has 'why' one time too many! If you find yourself around Circular Quay with the family, don’t forget to check out the FREE Discovery Museum at the Rocks, set in a gorgeous restored sandstone warehouse. We visited with kids recently, and were given a colourful ‘chatterbox’ origami structure to use to help with our discoveries about Australia’s past. The Discovery Corner is also a great quiet place to rest little legs, colour in, browse the kids’ fact sheets and describe what artefacts you’d put in your own museum! Our verdict? This one sparks questioning, conversation and imagination for curious little minds.